Learn the Leave No Trace principles and the Outdoor Code and explain what they mean. Write a personal and group plan for implementing these principles on your next outing.. Prepare a list of clothing you would need for overnight campouts in both warm and cold weather. Explain the term "layering." While camping in the outdoors, cook at least one breakfast, one lunch, and one dinner for your patrol from the meals you have planned for requirement 8c. At least one of those meals must be a trail meal requiring the use of a lightweight stove. *To complete this requirement, you may use the Scout Planning Worksheet at http://troopleader.org/wp-content/uploads/2016/03/512-505_16_Wksht_WEB.pdf. 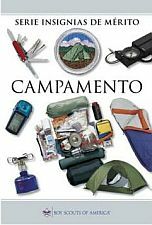 **If a GPS-equipped device is not available, explain how to use one to get to your camping spot. "Hike up a mountain, gaining at least 1,000 vertical feet." A footnote to Requirement 7, reading "May be part of a Troop trip" was in earlier editions of the Requirements Book, but no longer appears in the current edition. However, although not specifically stated in the requirements, if the troop goes on a trip, and the Patrol method is used (or if there is only one patrol) that campout can be used to meet requirement 7. 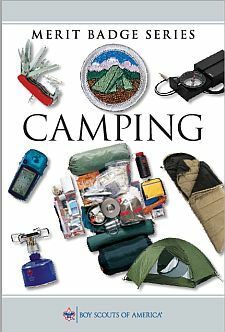 A footnote to requirement 9a reading "All campouts since becoming a Boy Scout or Varsity Scout may count toward this requirement." was also in earlier editions of the Requirements Book and Camping merit badge pamphlet, but no longer appears in the current editions. However, although not specifically stated in the requirements, this still applies.